← “Smasher” Will Delight Techie Fans of Sci-Fi. I am participating in the latest “Blog Hop” but with a change. I will be posting the interviews of the two writers I tagged on my own blog. Their links follow this interview. The following questions pertain to my historical fiction novel Jingo Fever. My main character is Adelle. She is fictional. The story is set in Ashland Wisconsin in 1918 during World War I.
Adelle, a city girl, feels trapped in Northern Wisconsin for the summer. She and her mother have come here to help care for her uncle who is recovering from influenza. Adelle wants to go home to her friends in Milwaukee. But her most important wish is to hear from her brother who is fighting for the Allies over in France. The family has not heard from him in a long time and Adelle imagines the worst happening to him. The thing that messes up her life is being stuck up north for the summer and being bullied by local boys because she is German-American. People of German descent were under suspicion and her family suffers because of the jingoistic atmosphere during the war. She wants to go home, but most of all she wants her brother to be safe, something she has no control over. 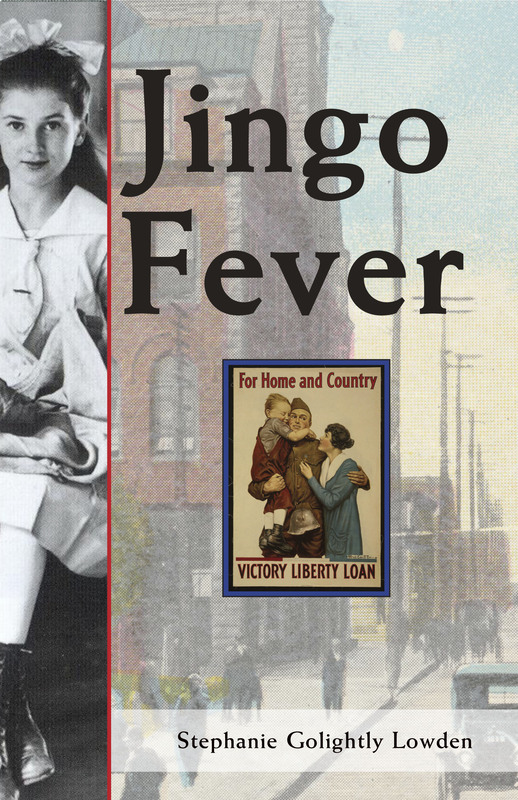 Jingo Fever came out in 2011 from Crickhollow Books. Now it is my turn to tag some author friends. I am going to be posting their interviews soon. Patricia Curtis Pfitsch at: www.patriciacurtispfitsch.wordpress.com Riding the Flume (middle grade historical mystery).